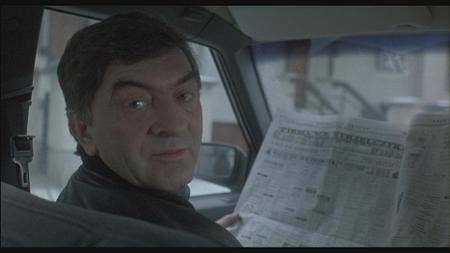 After he completed "Red" (1994), the final film in his "Three Colors" trilogy, Krzysztof Kieslowski announced that he would retire. This was not a man weary of work. It was the retirement of a magician, a Prospero who was now content to lay aside his art - "to read and smoke." 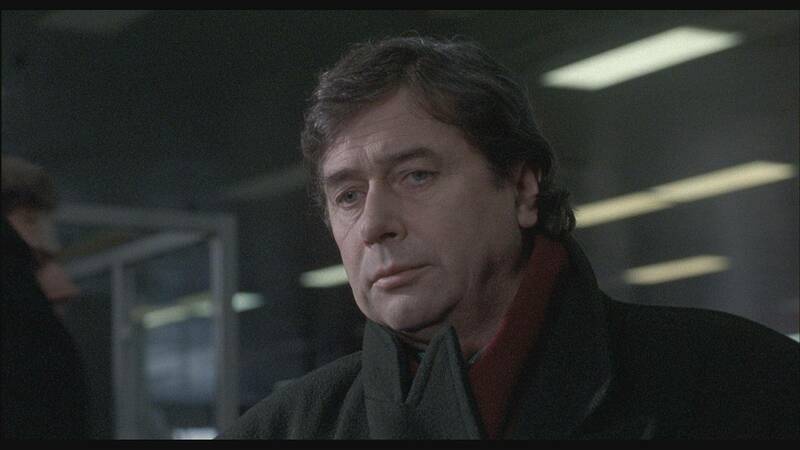 When he died two years later, he was only 56. 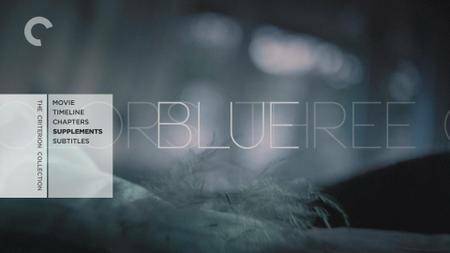 - Trailer - the original theatrical trailer for Blue. 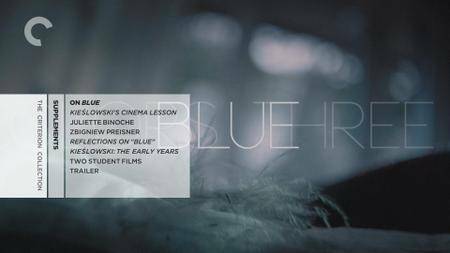 - On Blue - a video essay written and narrated by film studies professor Annette Insdorf, author of "Double Lives, Second Chances: The Cinema Krzysztof Kieslowski". 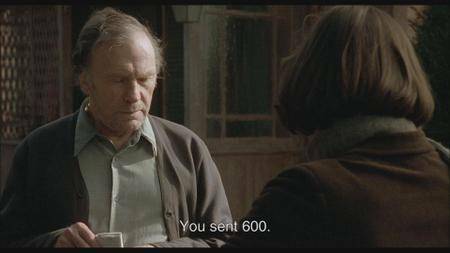 With clips and stills from the Polish director's films. - Kieslowski's Cinema Lesson - in this segment from 1994, Krzysztof Kieslowski discusses the significance of a specific sequence from Blue, as well as the importance of the sugar cube scene in the Parisian cafe. 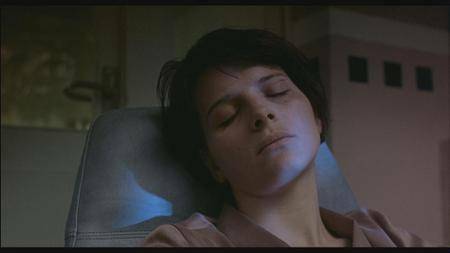 - Juliette Binoche - the French actress comments on specific scenes from the film. - Zbigniew Preisner - a new interview with composer Zbigniew Preisner, who recalls his collaboration with Krzysztof Kieslowski on the Three Colors trilogy, No End, The Decalogue, and The Double Life of Veronique. - Reflections on "Blue" - film critic Geoff Andrew, actor Juliette Binoche, filmmaker Agnieszka Holland, cinematographer Slawomir Idziak, professor Annette Insdorf, and editor Jacques Witta reflect on the production of Blue and the questions posed by director Krzysztof Kieslowski throughout his work. - Kieslowski: The Early Years - an interview program from 2003 in which film critic Geoff Andrew, filmmaker Agnieszka Holland, cinematographer Slawomir Idziak, professor Annette Insdorf, and actor Irene Jacob discuss director Krzysztof Kieslowski's early documentary films and the complex socio-political environment he lived in. 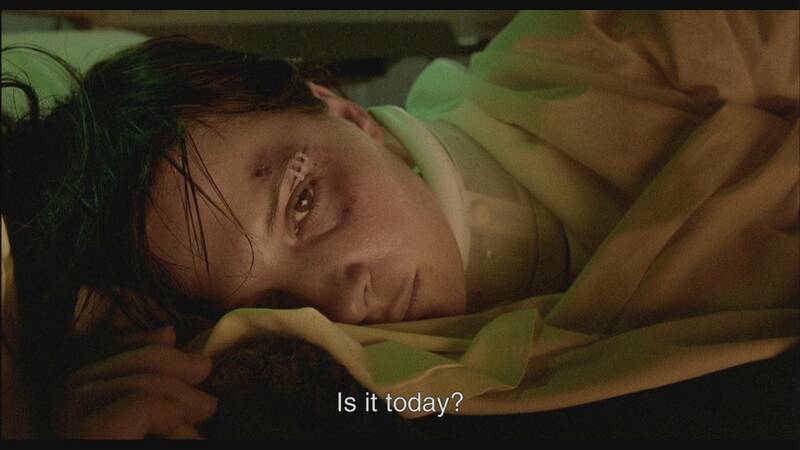 - Two Student Films - two student films, one directed by Krzysztof Kieslowski, the other by Piotr Studzinski. 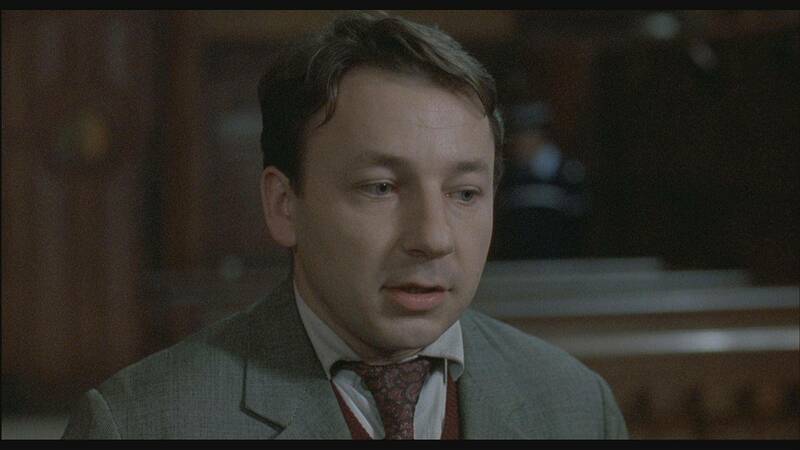 In the latter, the famous Polish director played a tortured artist. Both are presented courtesy of the Polish National Film, Television, and Theatre School in Lodz. 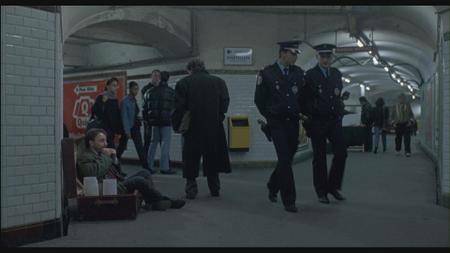 The most playful and also the grittiest of Kieślowski’s Three Colors films follows the adventures of Karol Karol (Zbigniew Zamachowski), a Polish immigrant living in France. The hapless hairdresser opts to leave Paris for his native Warsaw when his wife (Julie Delpy) sues him for divorce (her reason: their marriage was never consummated) and then frames him for arson after setting her own salon ablaze. White, which goes on to chronicle Karol Karol’s elaborate revenge plot, manages to be both a ticklish dark comedy about the economic inequalities of Eastern and Western Europe and a sublime reverie about twisted love. 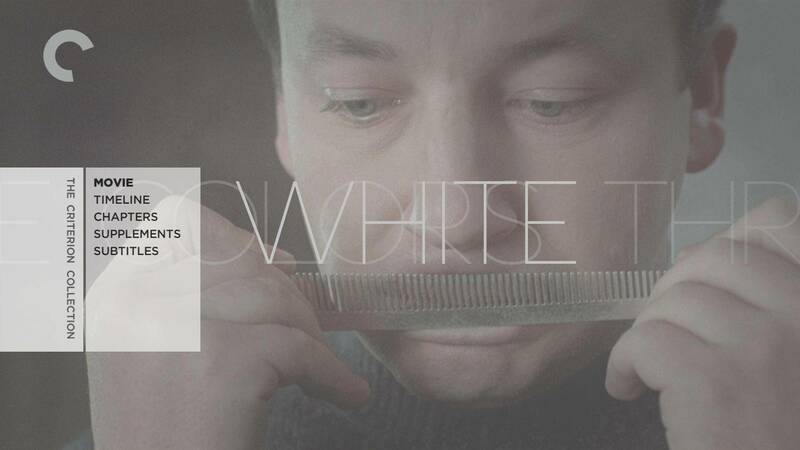 - Trailer - the original theatrical trailer for White. - On White - a video essay written and narrated by film critic Tony Rayns. - Kieslowski's Cinema Lesson - in this segment from 1994, the Polish director discusses the opening scene from White. 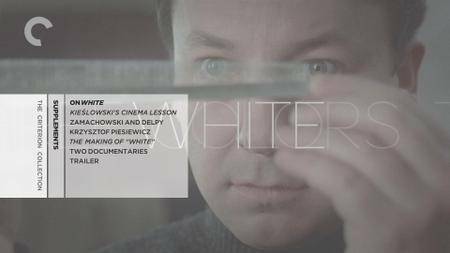 - Zamachowski and Delpy - in this new video interview, Polish actor Zbigniew Zamachowski and French actor Julie Delpy recall their collaboration with director Krzysztof Kieslowski on White. The interview was recorded exclusively for Criterion in 2011. - Krzysztof Piesiewicz - in this new video interview, Krzysztof Piesiewicz, cowriter of the Three Colors trilogy and politician, discusses his collaboration with director Krzysztof Kieslowski and the complex themes of his films, the socio-political climate in Poland during the 70s, 80s, and the transition period after the fall of the Iron Curtain, etc. The interview was recorded exclusively for Criterion in 2011. 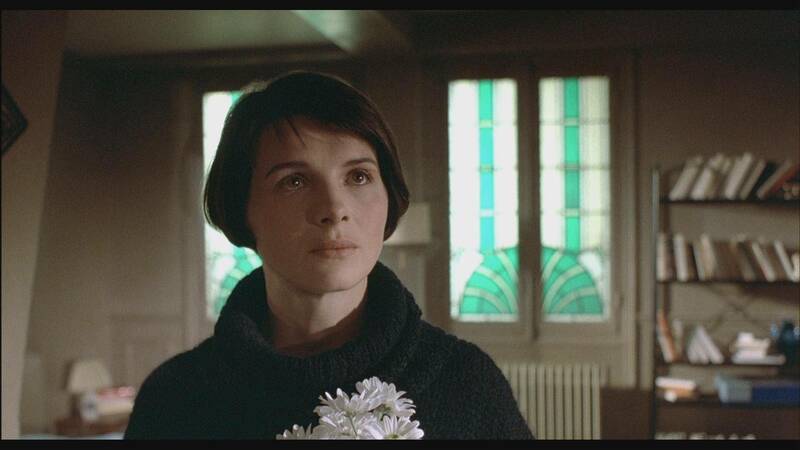 - The Making of "White" - in this behind-the-scenes featurette, director Krzysztof Kieslowski discusses the production history of White, its unique color scheme, the strange relationship between comedy and drama the film nurtures, etc. - Two Documentaries - two documentary films by Krzysztof Kieslowski. 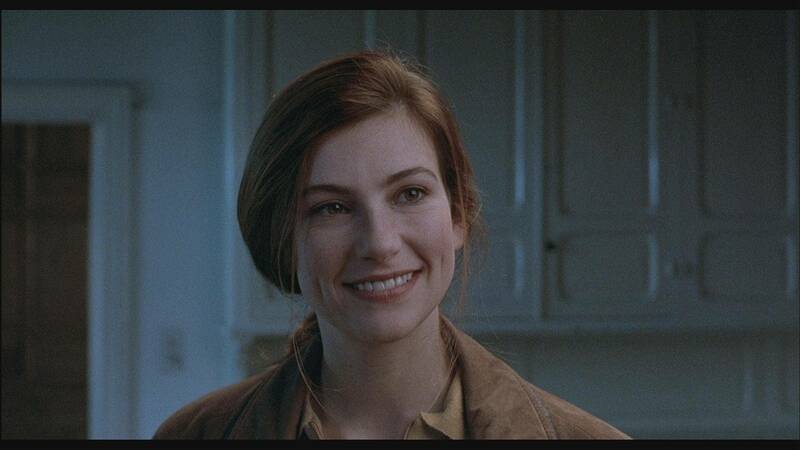 The first focuses on a group of ballerinas, the second chronicles an interesting survey. 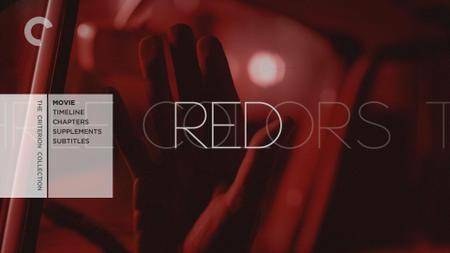 - Trailer - the original theatrical trailer for Red. - On Red - a video essay written and narrated by film writer Dennis Lim. 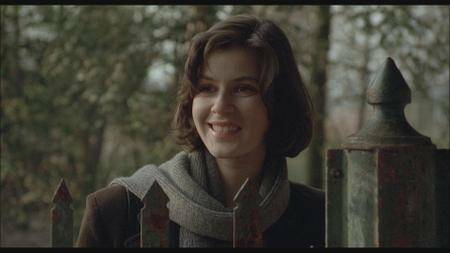 - Kieslowski's Cinema Lesson - in this segment from 1994, the Polish director discusses a key scene from Red (where Rita, the dog, runs away). 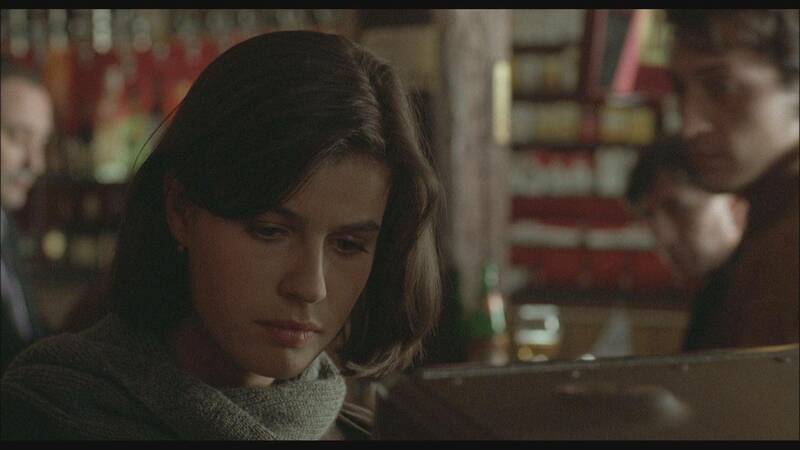 - Irene Jacob - in this wonderful new video interview, the French actress discusses her collaboration and friendship with director Krzysztof Kieslowski, Jean-Louis Trintignant's magnificent performance in Red, as well as the film's production history. The interview was recorded exclusively for Criterion in 2011. - Marin Karmitz - a very informative video interview with producer Marin Karmitz, who discusses the production history of Red, its acceptance at the Cannes Film Festival, the controversy surrounding the film's "nationality" and its unusual Oscar nominations. The interview was recorded in 2001. - Jacques Witta - in this video interview, Jacques Witta, editor of Blue and Red, discusses specific scenes and selected shots in Red that were removed during the editing of the film. The interview was recorded in 2001. 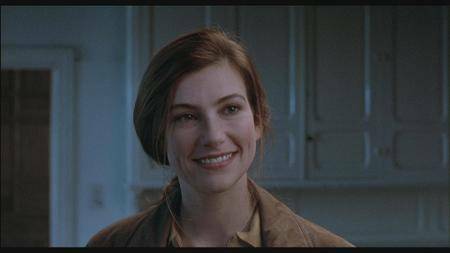 - Behind the Scenes of Red - raw footage from the shooting of Red, with Krzysztof Kieslowski directing key scenes. 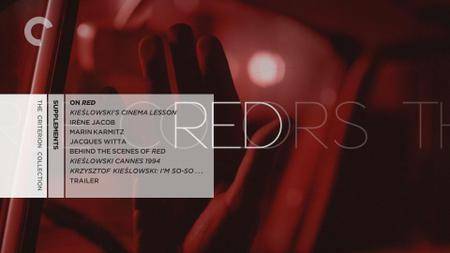 - Kieslowski Cannes 1994 - a short documentary shot during Red's premiere at the Cannes Film Festival. The documentary features interviews with director Krzysztof Kieslowski and actors Irene Jacob and Jean-Louis Trintignant. 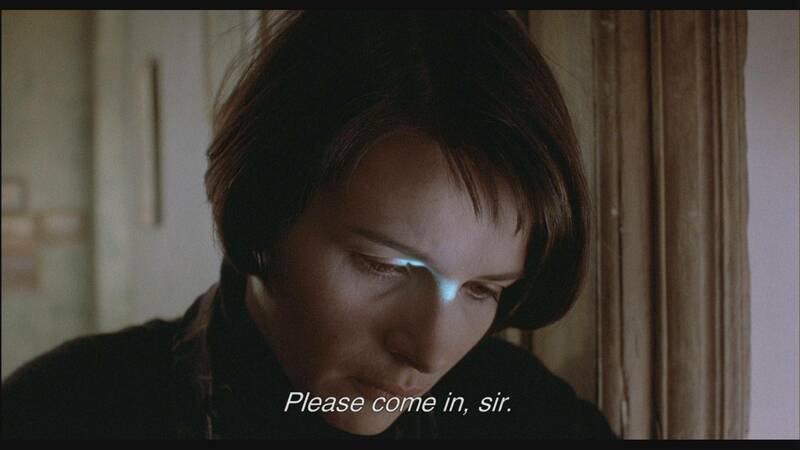 - Krzysztof Kieslowski: I am so-so… - in 1995, a year after Red premiered at the Cannes Film Festival, director Krzysztof Kieslowski was interviewed at his home in Poland. This documentary film, directed by Krzysztof Wierzbicki and originally broadcast on Danish television, is based on this interview.